The tune was the second single from the band’s third album, “Caress Of Steel”, and is paired in the concert footage with “Anthem”, the opening track on 1975’s “Fly By Night”, which marked the recording debut of drummer Neil Peart in the lineup. 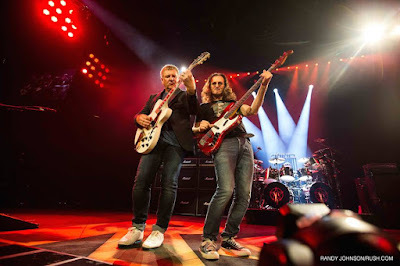 “R40 Live” presents Rush live in concert in Toronto over two nights this past June. The shows at the Air Canada Centre marked the first time the group have filmed in their hometown in almost 20 years.